As a Friend of Scouting we share a common interest in helping children and young people thrive and make positive life choices. Helping them learn the value of their own worth, whilst inculcating sound morals, is the greatest gift we can share. To continue to enrich the lives of our volunteers, youth and children we need a little help from our Friends. 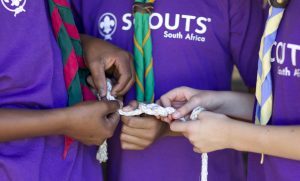 Your gift – both small and big – is meaningful and will helps us to sustain Scouting throughout South Africa. How to join? All it takes are 3 simple steps! -> Once the funds are received they will be transferred into the Endowment Fund. Donate here by adding your own amount and clicking on the donate button! The endowment fund is made up of monies donated or bequeathed, which are invested to generate income. 75% of the interest in dispersed annually to SCOUTS South Africa and 25% of the interest is reinvested into the capital of the endowment fund. The endowment fund serves as a tool to enhance the financial sustainability of SCOUTS South Africa, its sole beneficiary.The fund is one of many income sources for the NGO and aids in diversifying SSA’s funding base as it reduces reliance on other sources of funding alone. 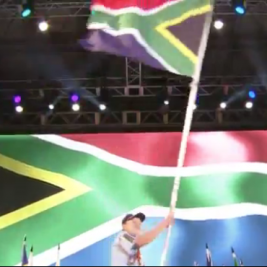 In our current economic climate the endowment fund secures the sustainability of Scouting in South Africa. How does “Friends of Scouting” work? The Friends of Scouting Recognition Programme serves to thank corporate and legal individuals that contribute towards the SCOUT Foundations Endowment Fund. Depending on your donation, you will receive a FOS, bronze, silver, gold or platinum recognition status, which over time can evolve. As individuals we can all ensure the legacy of Scouting by making a donation. Once-off: Make a once off donation. Annual Donations: You could support Scouting annually. Donations are cumulative, so as your total donation grows, so does your FOS recognition status. Monthly Donations: Every donation counts! Contribute monthly through a direct debit towards FOS and watch your status grow! Double your impact Organize a fundraising event for the endowment fund with your friends and family! Who knows you might even find a company to match your FOS Contribution? Service to others is a core principle of Scouting. It is also the cornerstone of many CSI programmes. Invest in Scouting and its members by adding us as CSI partners! Once-off: Donate once by adding us as a CSI beneficiary for the year. Annual donations: Include the SCOUT Foundation as a CSI partner and prepare people for success in life. Donations are cumulatative, so as your total donation grows, so does your FOS status within the recognition programme. Monthly Donations: Rather contribute your CSI budget monthly? That works for us! Contribute through a direct debit towards FOS and watch your status grow! Double your impact Organize a fundraising event for SSA’s endowment fund as a staff function within your company. Give your team the chance to empower others! Note: The SCOUT Foundation is a Trust, no Section 18A can be issued. By bequeathing a donation to the SCOUT Foundation in your last will and testament, you can ensure that the Scouting legacy lives on. Bequest by adding this Codicil to your Will. As the SCOUT Foundation is a registered PBO, there will be no inheritance tax due on the amount of the donation. 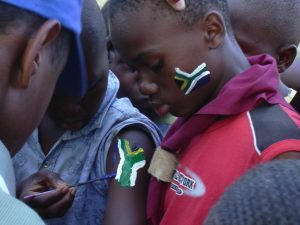 Has your loved one left the request to support Scouting in South Africa? Did Scouting bring a lifetime of adventure and joy to your loved-one? Want to give back? Make a once off donation to the SCOUT Foundation Endowment Fund and ensure that the legacy lives on!